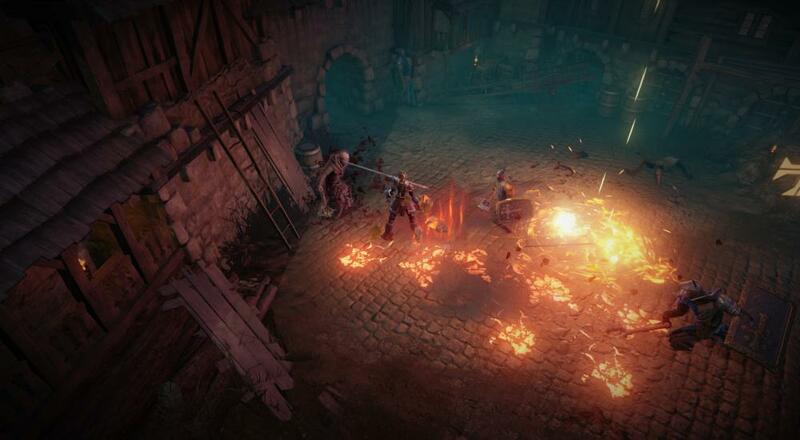 The Diablo meets MOBAs and Dark Souls action-RPG that is Vikings - Wolves of Midgard received an update yesterday on the PlayStation 4 that added, among a number of other things, the ability to play the game on your couch with a friend. The full patch notes can be found here on publisher Kalypso Media's site. There are the usual gameplay balances and tweaks, but alongside the addition of the local co-op op feature, the other item of import is a new Stash players can use to store items, and a trade feature to allow players to share items with one another. That last one was a particular sticking point Tally brought up in her review of the game. No word on when or if this patch will make its way to the Xbox One and PC versions as well. Vikings - Wolves of Midgard is available for the PlayStation 4, Xbox One, and PC for $39.99. The PlayStation 4 version supports two player online and couch co-op throughout the campaign, while the Xbox One and PC versions only support online co-op. Page created in 0.8213 seconds.